Research by Dr. Gareth Tyson, Dr. Hamed Haddadi and collaborators has been widely covered in the media, including by MIT Tech Review, Washington Post, Daily Mail, Business Insider, Elle, Repubblica and New York Magazine. The articles are based on a paper recently published at IEEE/ACM ASONAM on user activity in Tinder (July). MIT Tech Review reports 'How Tinder “Feedback Loop” Forces Men and Women into Extreme Strategies'. The first study of swiping strategies on Tinder shows just how different male and female mating behavior can be. 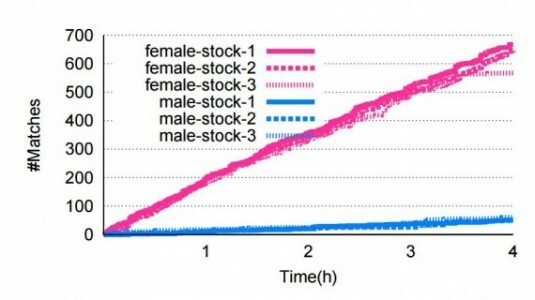 MIT Tech Review reports ‘How Tinder “Feedback Loop” Forces Men and Women into Extreme Strategies’. The first study of swiping strategies on Tinder shows just how different male and female mating behavior can be.